We’re starting to get excited as our preparations are getting underway. 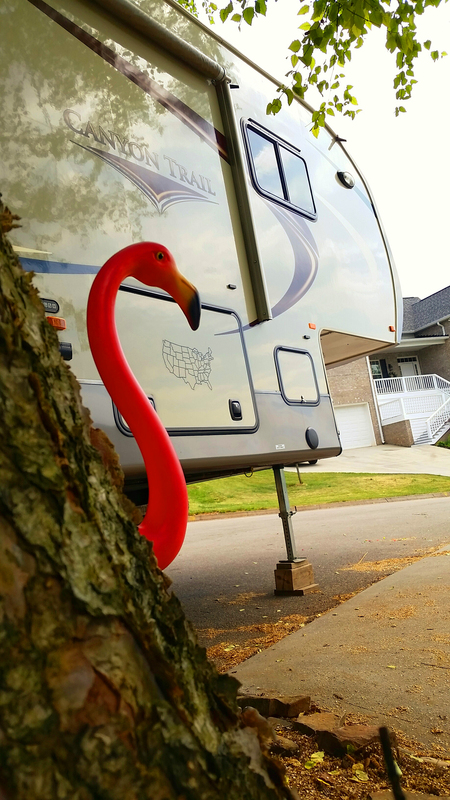 We pulled the RV out of storage for the weekend and began stocking it up for the trip. Normally we would have already been out camping by this point in the season but it just wasn’t in the cards till now. This weekend we have a two night campout at Indian Boundary campground, our favorite local destination high in the Cherokee National Forest. That will provide a needed dry run in the RV still relatively close to home. I’m sure we’ll find more than a couple of things we’ve forgotten. One short week later we hit the road for the big trip. I’ve been sure to complete thorough checks and all possible maintenance on both the RV and the Ford F-350 that’ll be pulling it. That said, I’m sure there’ll still be some sort of issue along the way but hopefully it’s minor. That’s what makes it an adventure!